Is a new concept in medical education. The Project consists of a multidisciplinary team of research and development, based in Montevideo, Uruguay, where we have developed training applications (“serious games”) to learn video-assisted surgery. DOCTOR TRAINING uses recognition technology and image tracking with a camera integrated in any smart device (mobiles, tablets) running on iOS and Android platforms. There are two kinds of user friendly and simple applications, for massive use. They consist on a web application run from a mobile device and a data base where all related data are kept. 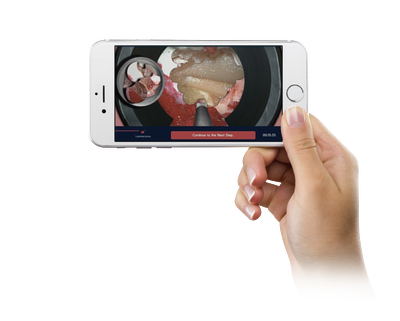 It is users’ first contact with the application aiming at the acquisition and development of the non-intuitive motor skills which allow medical doctors to be better prepared for video-assisted procedures, such as microsurgery. There are abstract exercises where users face the challenge of "resolving a 3D situation, guided by a bidimentional image". At the same time, their performance is assessed by means of pre-defined variables. 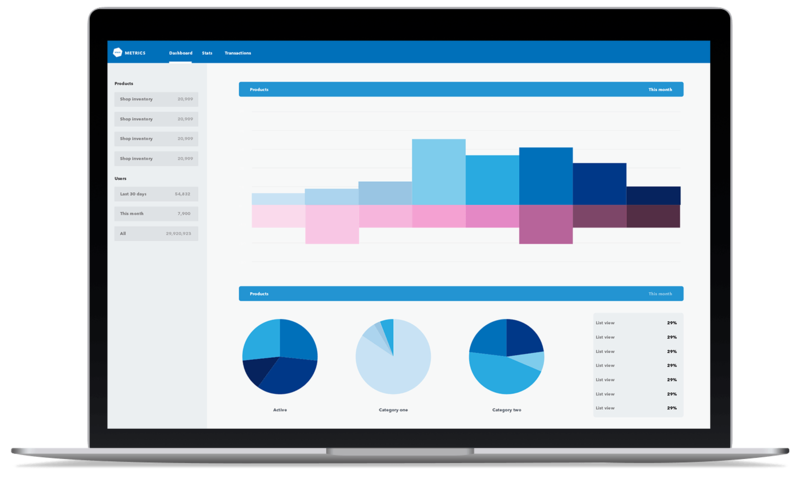 This assessment is stored so that users can keep track of their progress and promote additional practice with gaming strategies. It is an application that SIMULATIONs real life scenarios (video-assisted operations) which are used as a complement to tutorials, pre-courses, or training processes with advanced simulators. The objective is to review, remember and repeat the key steps of an operation, by playing exercises which reproduce the movement, the correct identification of anatomic structures, and the correct use of the surgical instruments, which are appropriate for the operation being performed, among others. This chapter describes the main features of TRAINING and SIMULATION in terms of concepts and definitions. 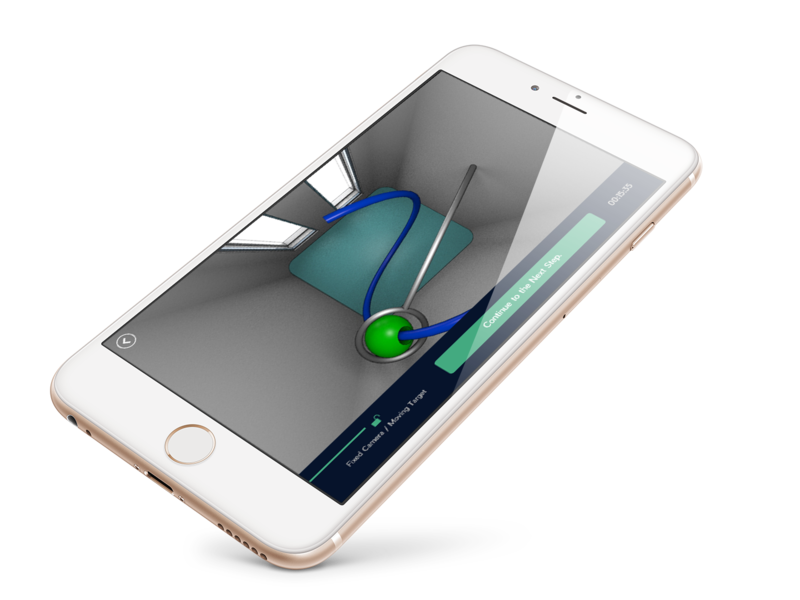 They are interactive exercises based on abstract models where the user performs an assigned activity. During exercises, specific skills are measured (estimators) and their values are displayed at the end of the exercise. • Mobile App: The application runs on smart devices (IOs and Android platforms) with user profile, scenarios and history/background. • Backend application and data Model: backend application running in the cloud, which contains all the data registered or displayed in the smart device application. When there is Internet available, both systems are communicating in order to exchange data. • Research Web Access: A web access could be provided to specific users (Researchers) that allow seeing the performance of TRAINING users in order to procure further data analysis. Distance traveled with the instrument throughout the scenario. They are interactive environments, where users perform specific movements in order to re-create a defined protocol or procedure. These scenarios provide a realistic environment (blood, bones, texture, etc). • recognition of specific structure touch, move an instrument from one point to another, transport objects, cut, among others. 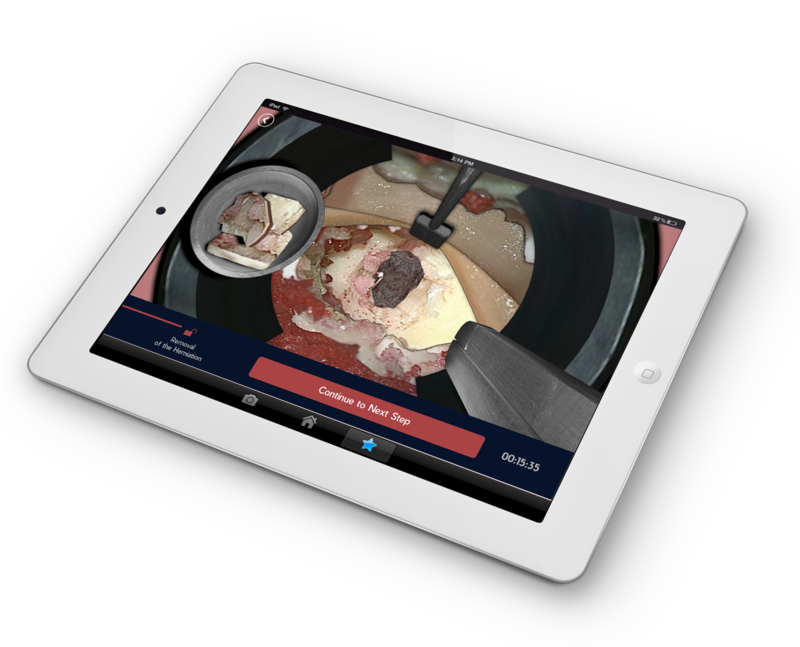 “TRAINING for SURME” – This application is used as part of SURME project, registering progress of micro surgery medical professionals. This project is promoted by Bundesministerium für Bildung und Forschung. Customer: HTWK-Leipzig, Germany. We customize TRAINING and SIMULATION applications to every customer’s needs and requirements. Additionally, we follow and design new training protocols and suggest alternatives with respect to the goals defined. and a tablet or smartphone with the application installed. Here are the 3 steps to start using the App. Our technology requires recognizing a specific image in order to detect and simulate the instrument that will be used in different scenarios. This image is in the following file. You need to download, print and then crop the image. To complete the construction of the marker, it is necessary to have the printed and cropped image (step 1) and a wooden stick (for example a tongue depressor). The image should be pasted on the wooden stick as shown in the pictures. From your mobile device access the store, locate the "Doctor Training" application and downloading it. For the first time, user data and password will be requested. You can access your profile to see the progress of the practices.